I’ll admit, I’m kind of new to the grilling scene. Not to say I was completely inexperienced, because I’m not, but I never actually owned a grill up until about 2 months ago. That’s unless you count the time I had an in-ground fire pit that we would fill with charcoal and lay grill grates over top. It was kind of awesome. After cooking dinner, we would fill it with wood and have a fire. I, however, was completely paranoid because we had nosey neighbors and there was an enforced ban on open fires, and it was placed right next to my other neighbor’s wooden fence. Do you see where I am going with this? Sure, it was constructed from brick and cinder blocks, but paranoid I was! Since I am not much of a carnivore, it never entered my mind to purchase a grill after moving into the new place. Then, the summer holiday super sales on grills began, so I ended up getting one. I thought about charcoal, because I really like the smoky flavor, but I really don’t want to mess around with coals. So propane it is! 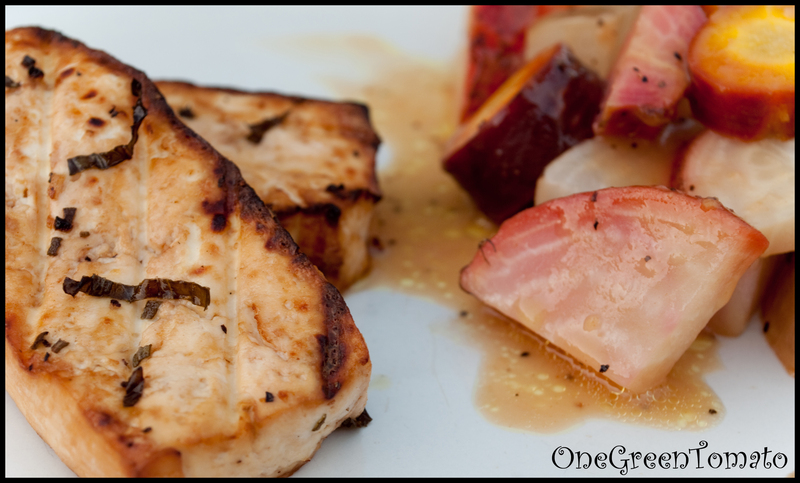 Mainly, I grill veggies, but it has seen two pork chops and three chicken breasts, too. I found them when I cleaned out the freezer late Spring to make room for this year’s anticipated veggie harvest! Last week I grilled tofu for the first time and I must say I was pretty pleased with the results! Whisk together lemon juice, oil, garlic, rosemary, basil, and Worcestershire in a shallow bowl. Marinate tofu “filets” for 20-30 minutes. Overnight would have been awesome, but I had just gotten home from work and I was starving! 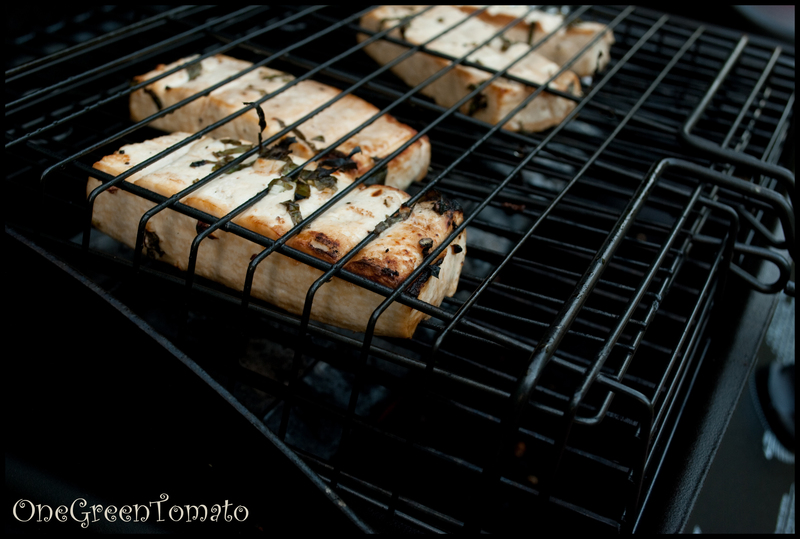 Remove tofu from marinade and sprinkle each side with salt and pepper, place on a hot grill over a medium flame and cook approximately 5 minutes per side, or until browned. I have one of those veggie cage things (I have no idea what they are really called) and it worked perfectly! Seriously, when I saw it at the store I gasped out loud and was like “MOM! Oh my god, that is awesome and I am so grilling stuff with it!” She just shot me the one eyebrow raised “you’re so weird” look. Marinate veggies 20-30 minutes, then transfer to foil. Double wrap the veggies and place them on a hot grill over a medium flame. Cook for 15-20 minutes, turning once. Remove from grill with tongs; use caution when opening the foil package, the steam will come rolling out! !